My 53rd Birthday Present. 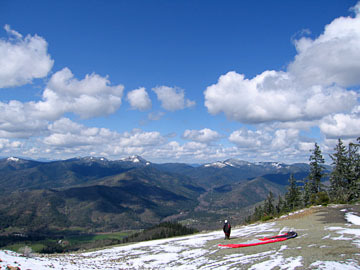 Tandem Paragliding over Southern Oregon Mountains. Linger is my new friend. I choose to become very familiar, as intimate as I can with Linger. is one definition. My relationship with this word linger stuck to me like ‘white on rice’ in contact improvisation dance. In my last jam, we were directed to talk with a partner about how we like to initiate and close our intimate contact dances with each other. Instantly I saw how I ‘leave’ a dance is how I move through my world. Withdraw. Dis-Engage. Drop Out. Impulsively I laughed aloud in class. If I had lingered even briefly, I would have felt sad and not laughed. I sprinted toward the edge of the mountain, pulling him and our wing attached to strands of long colorful lines. And then I lept off a mountain top with Nick close behind me. We were caught by our one long wing filled with air. We glided silently and gracefully high in the sky. Running, pulling, leaping and then just being carried felt too opposite. I wanted to flinch, jerk, somehow throw off this Huge Rush of adrenaline making my thigh muscles twitch. Yet my gift was to just sit and relax into the beauty that enveloped us. Lingering suspends the moment and pleasure expands time and space. Sitting still, I actively moaned and exhaled loudly, to calm myself down. 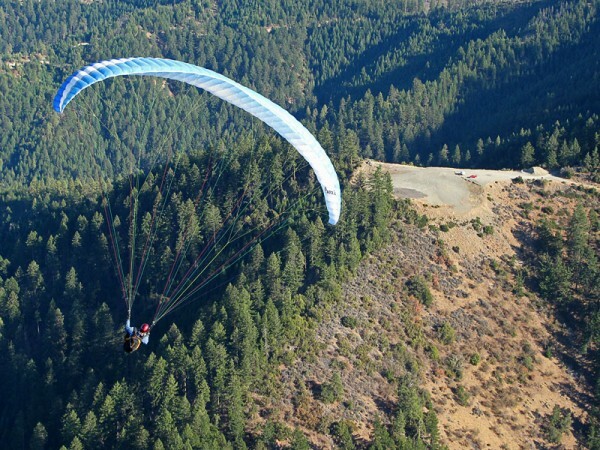 I intended to enjoy the ‘flight’ of paragliding with my friend Nick. What do I hold onto when I let go? Jumping off a mountain, what did I hold onto? I trusted my familiar relationship with Nick. 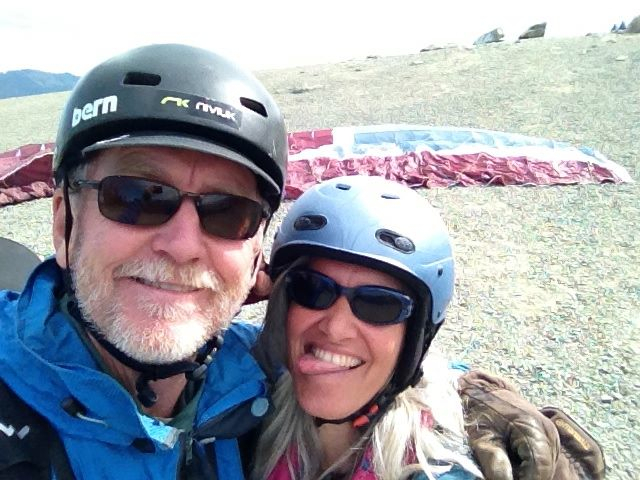 We’ve been dancing together for 6 years in Ecstatic Dance/Contact Improvisation in Ashland, Oregon.Contact Improvisation I know he’s a Paraglide Instructor and flown Tandems hundreds of times. My body knows his body. I trust that he is in his body. I trust Nick and I have faith in me. Floating through the sky, hovering over mountains, cattle, and sage brush I wondered how Faith relates to Intuition. I hear myself say “Trust Your Intuition.” How about “Have Faith in Your Intuition”? Following my intuition frequently feels like a leap of faith. My last blog post broke all my rules of self-preservation and left me feeling raw and exposed. Amidst all the support of my friends, and new friends, my trust in others reached an all time LOW. Since my last post, I have felt awkward stares, and sideways polite hugs. Fear of alienation escalated after a difficult conversation with a girlfriend. Instead of going to the second day of a Yoga Festival-I withdrew. A whole Yoga buffet of lingering moments to sink into myself…I chose to skip out. In retrospect, authentic blogging compares to dying and being reborn. Transformation is a rush. What follows is a crash. Rushes are not sustainable. Grrr…I gritted my teeth, made a fist. Dammit! I spit under my breath. Quietly, he walked me home. I wanted to be alone with my journal and pen and sulk awhile. The Yoga Festival was in my neighborhood. Jai Uttal was playing a Kirtan outside on a full moon, down the hill from my house. No way could I participate in a spiritual celebration. I was angry. I was angry with God. Once alone, I furiously started writing. LINGER. Hang just a little longer! Have a little faith? Have a little hope? Ask for help from my Higher Power? Hmmm. What is my relationship with My Higher Power? Okay God. Do I feel your presence? Do I really know I’m not alone? Where were you? or Where are you? I’m not angry that my parents abandoned me-I’m angry that YOU abandoned me. I gotta be honest with me. I lived in HELL. I’m angry that you were not there. If you were there-is that even harder to accept? I feel lost and I want help. I’m feeling hope-LESS. I am sooo ready to check out. Really lost/HURT/ angry that I keep losing energy fighting this alone. God I’m asking for your guidance. Please point out my path so I can stay committed to my path. yeah. I keep feeling like I’m on a detour. God! Right now I am in Hell. Hell is inside me. My mind. My doubt. My path God? Goddess? What did you put me here to ‘DO’? I nod my head. I feel the truth. Yeah. I can feel the truth in this. God, you didn’t make it easy ’cause my Path isn’t easy. Oh…The journey of a Shaman/ Healer- you try to Kill them. Right. Living in Hell had a purpose. My dying and coming alive-helps me be whole. My forgiveness is real. I can Accept now – this descent into Hell. This ain’t religion I’m believing. This belief is real inside me. Is this Faith? Yep. I feel the space open in my gut-when I hear the truth. I am here to Love. Accept. Forgive. My path is to Love my enemy. Forgive my enemy. Accept my enemy. Be better than my enemy. My enemy is inside me- it’s my Doubt. Did I ask? Did I surrender? Okay. I feel you. I am not alone. You do help me feel You-through others. Ah Yes! Human Angels. My dear friend who held me and told me to talk to you- is a Human Angel. Thank you God, Goddess. I am smiling. I am at Peace Now. Back to Linger. Linger is what I ‘DO’ to help me surrender to Spirit. Linger conjures subtlety. Linger helps me respond instead of react. While I linger, I quiet down to listen to my intuition. The more faith I have in me, as a newly born Adult, the more I can relax and linger a little while longer. Like right now writing. I’m lingering. Intuition Counseling helps you listen and respond to your own inner guidance. Have faith in your intuition. 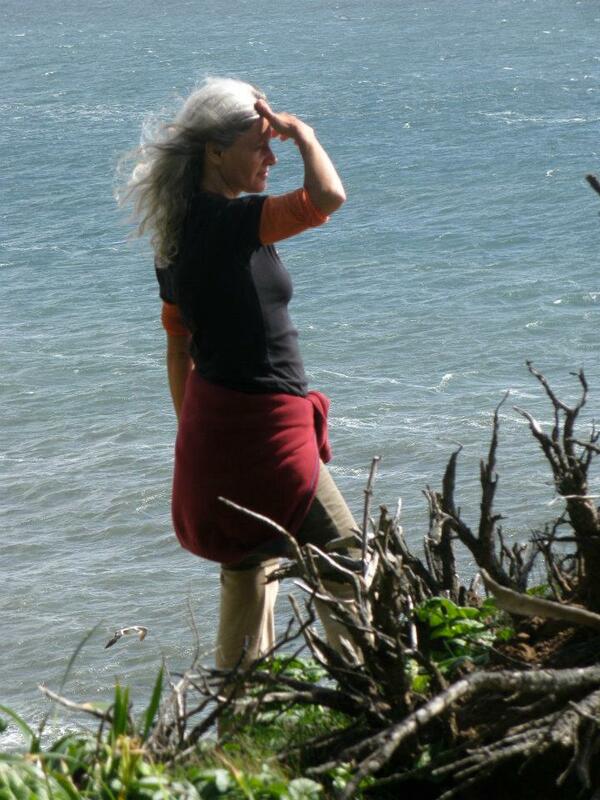 About Me-Carola Marashi M.A.I live simply in Southern Oregon on a permaculture sanctuary owned and designed by my Heart Circle Mate. Surrounding me are gardens, animals, wild nature, and a wild dance community with open hearts. My Intuition Counseling (since 1982) weaves authenticity, integrity, art and movement. I am author of 2 self-published books: SENSUAL EATING, and SACRED DANCE with 22 Card Tarot Deck. I hold a Masters degree in Transpersonal Psychology and Bachelor’s degree in Nutrition. I am Co-Founder of Body Choir Ecstatic Dance Established 1994. In Austin, Sante Fe, Ashland, Medford. Previous What does it take to Love My Body? Next Sharpen Your Intuition Right Now!